This is such a fabulous \\\\\\\"fakeout takeout\\\\\\\" dish! Place the stew beef pieces into the base of the slow cooker. In a small bowl, whisk together the beef stock, soy sauce, sesame oil, minced onion, garlic powder, ground ginger and salt and pepper. Pour over the beef in the slow cooker and set on low. Cook for 8 hours. With 30 minutes left in the cooking cycle, stir the 1 tsp cornstarch with 3 Tbsp water in a small bowl, then swirl it into the sauce in the slow cooker and finish cooking. It will thicken as it finishes cooking. 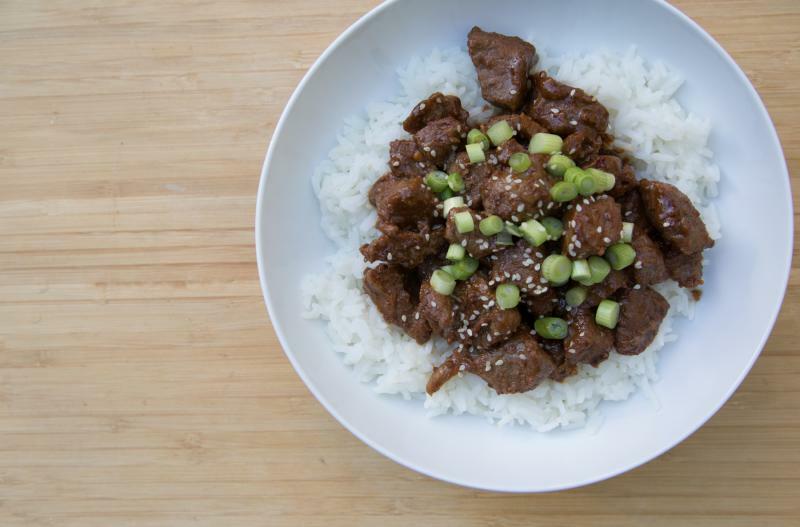 Serve Slow Cooker Korean Beef with green onion garnish over rice with salad. 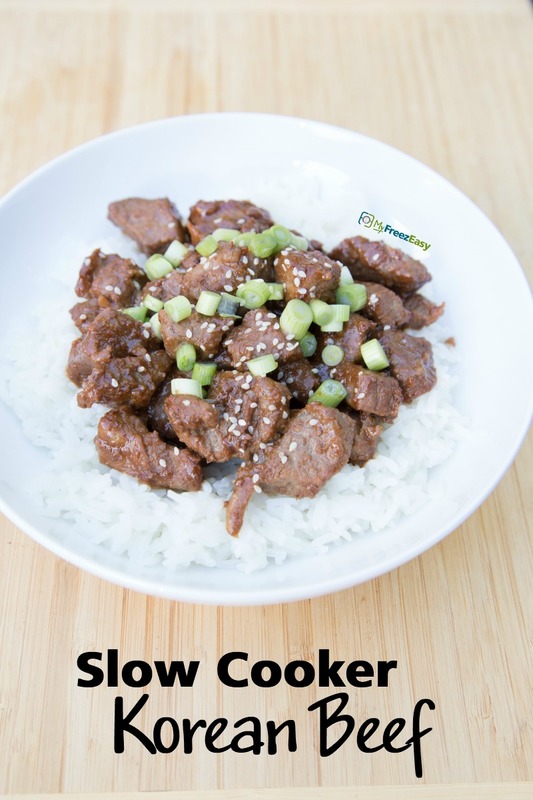 In a small bowl, whisk together 2 cups beef stock, 1/2 cup soy sauce, 6 Tbsp sesame oil, 2 tsp minced onion, 2 tsp garlic powder, 2 tsp ground ginger and salt and pepper. Put baggie in the freezer and freeze up to 6 months in fridge freezer or 12 months in a deep freezer. Thaw in the fridge overnight, or a warm bowl of water for about 20 minutes, before transferring to the slow cooker and cooking on low for 8 hours. Stir in cornstarch as directed, with 30 minutes left in cooking cycle. Thaw and slow cook on low for 8 hours. With 30 minutes left in cooking cycle, mix 1 tsp cornstarch with 3 Tbsp water and swirl in, to thicken sauce in last 30 minutes. Garnish with sliced green onions.